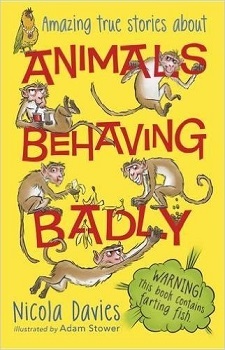 From award-winning children’s author and biologist Nicola Davies, this is a collection of funny, fascinating and true stories about animals “behaving badly” – which is to say, getting the better of us human beings! We start with the wolverine in Canada, who will trash your home and everything in it, and then meet the kea in New Zealand – park your car in kea country, and you’ll find out the hard way that these clever birds have sharp beaks and a love of mischief. Next we visit India and learn about macaque monkeys, who have shoplifting, highway robbery and baby-snatching on their impressive rap sheet, before jetting off to the US. In Florida we find drumfish, whose strange humming calls will keep you up all night long, and in Alaska Sitka whales, who gang up to steal thousands of dollars’ worth of cod from under the noses of fishermen. 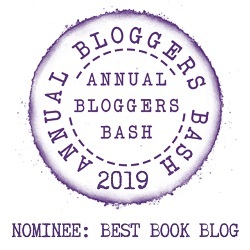 The book ends on a charming high, as Nicola describes two creatures that work together with humans: little brown birds that help us collect honey in East Africa, and bottlenose dolphins that help fishermen catch mullet in Brazil. With lively illustrations from rising talent Adam Stower, Animals Behaving Badly is a splendidly witty and original take on narrative non-fiction for younger readers. In Animals Behaving Badly, Nicola Davies takes a look at some of the worlds naughtiest animals from different continents, starting with the ‘devilish’ Wolverine. Throughout the book you get to learn all about the Kea birds, who are vandals, the noisy drumfish, causing residents in Florida to lose sleep, and the fish stealing sperm whales, causing problems for the fishermen, plus lots more disruptive creatures. My favourites were the Kea birds, who for what seems pure enjoyment, and human attention, like to vandalise whatever they can. They smash up cars, including stripping the window wipers, peck the lights out, bend the aerial, and low and behold what your car will look like if you leave a window open. They are not only vandals though, they are very clever birds. Birds that can open locks, and solve puzzles too. The book is full of interesting facts about the animals, written in a fun, enjoyable, attention grabbing manner. There are plenty of illustrations throughout, showing you just what these animals look like, and things they get up to. I thoroughly enjoyed the book, and learned a lot too. Children will be kept entertained and fill their heads will factual information that they will want to share will all their friends. I don’t remember a time when I wasn’t fascinated by animals. From the moment I could walk I was out in the garden watching ants and worms, and collecting snails as pets. I had my first pair of binoculars for my eighth birthday. They were so big, I couldn’t hold them steady for more than a few seconds. I can still remember the very first bird I saw through them: a male blackbird with his golden-yellow eye ring and sooty black feathers. My first job was studying geese in Scotland, my second was hand rearing jackdaws and my third was watching humpbacked whales from an uninhabited island in Newfoundland! In the last two years I’ve returned to studying animals and have been helping out on a long term study of sperm whales, sailing in the Sea of Cortez, and the Caribbean off the island of Dominica. I’ve seen all sorts of animals, all over the world: chameleon’s in Madagascar, turtles in the Seychelles, walruses in the Arctic, bat eared foxes in Kenya, salt water crocodiles in Australia. But I still love the animals that are within reach of my home in Wales: the ravens and red kites, the grey seals and the choughs, the roe deer and foxes, even the blackbirds that nest in my tiny garden.